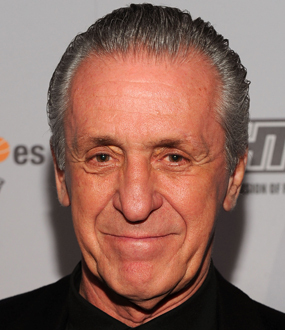 Have you seen Mel speak? Leave a review. One of the world's leading experts on behavioral change, Mel Robbin's research and tools have helped millions of people overcome procrastination, self-doubt, and anxiety. 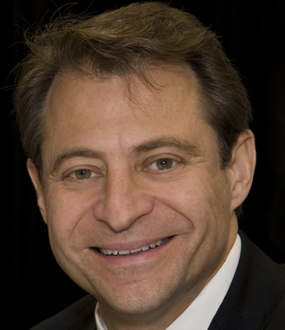 Robbins is the best-selling author of the transformative book, The 5 Second Rule. Since her viral TEDxTalk, "How to Stop Screwing Yourself Over", Robbins has become the most booked woman speaker in the world. One of the most internationally regarded experts on behavioral change, Mel Robbins is known worldwide for developing the “5 Second Rule” – the notion that if you don’t act on an idea within 5 seconds, your brain kills that idea. Robbins’ research and tools have helped millions of people push themselves out of ruts, build new habits, and transform their lives. At 11 million views and counting, Robbins’ TEDx Talk, “How to Stop Screwing Yourself Over” has been called one of the most motivating Ted Talks of all time. She is the most booked female speaker on the speaking circuit and the internationally best-selling author of The 5 Second Rule as well as Stop Saying You’re Fine: The No-BS Guide to Getting What You Want. Robbins can be seen on CNN, where she serves as a legal analyst and on-air commentator. Her insights on building confidence and performance improvement are read by more than 200,000 people each week. 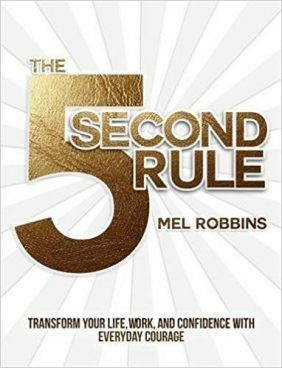 Mel’s latest book, The 5 Second Rule,is a fixture on Amazon’s “Top Ten Most Read List” and one of the most successful audio books ever published. Her TEDx talk about change has more than eleven million views. Mel’s media company, The Confidence Project, Inc. produces personal development programming and online courses for her global student body and corporate partners. On stage, Mel is a riveting, fun, and unforgettable speaker, teaching audiences a wide range of science-backed strategies with life-changing impact. 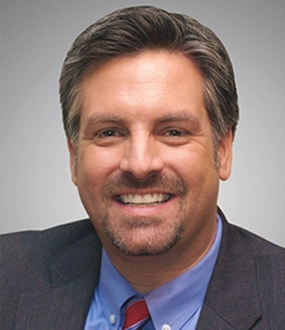 Mel has spoken to executives at some of the world’s leading brands, including Microsoft, JPMorgan Chase, Optum, Cisco, and AT&T. She is also an award-winning opinion columnist and legal analyst for CNN, a Dr. Oz Healthline Expert, and a Contributing Editor for SUCCESS Magazine. A graduate of Dartmouth College and Boston College Law School, Mel is a married mother of three and lives in the Boston area, but remains a Midwesterner at heart. “In any area of your life that you want to change, there’s one fact that you need to know; you are never going to feel like it.” Revealing that the human brain has two basic modes – “auto-pilot” and “the emergency brake” we pull when we’re about to do something outside our comfort zone - Mel Robbins explains why so many people feel stuck in life and how anyone can harness the power of “activation energy” to make a change. Mel Robbins is a powerful motivational speaker known for inspiring change, challenging thinking and accelerating personal and business growth. She is an expert in behavior and the inner workings of the human brain, and she specializes in helping audiences communicate more effectively and make better decisions. A riveting presenter whose TEDx Talk has been seen by over 11,000,000 people on YouTube, Mel spends just as much time in the audience as she does on the podium, entertaining and engaging them with interactive research and exercises. Outside her presentation, she brings the same passion and commitment to driving change in your group that she does during her seminars, collaborating with coordinators to make your event an experience. Imagine if you had a secret weapon that instantly turned you into your most powerful and productive self. What if you could spot opportunity and have the courage and the discipline to trust your instincts, take action and share your ideas with conviction?You’d be unstoppable. In her globally praised TEDx talk, best-selling author and entrepreneur Mel Robbins introduced the world to the science-backed secret to change–The 5 Second Rule. Over ten million views later, the 5 Second Rule has become a best-selling book and a life-changing movement inspiring people around the world to quit procrastinating, become more courageous, accomplish goals, and change for the better. Mel has used The 5 Second Rule to transform her own life. Since discovering and implementing The 5 Second Rule eight years ago, Mel has become the most booked female speaker in the world, an award-winning legal analyst for CNN, a Contributing Editor to Success Magazine, an internationally acclaimed best-selling author, and the CEO of a media company that inspires more than 20 million people each month. With riveting videos, case studies, compelling research, and hilarious personal stories, Mel will recount the deeply relatable and remarkable story of The 5 Second Rule and the power of five second decisions. She will demonstrate how this rule has helped people, teams, and businesses around the world change for the better. And, through audience interaction, she’ll show you how to use the Rule so you can also achieve your goals. This is a life-altering speech filled with groundbreaking insights and a tool for action that is critical for selling, leadership development, innovation, and success. Mel will present the secret to HOW we change behavior, HOW to take smart risks, HOW you bring out the best in your team, and HOW to create the results that we covet at work and in life. You’ll walk out of this experience with tools you can bring to back to your team, your family, and your life–and you’ll leave feeling inspired,empowered, and ready to take action. •Discover the secret to increasing productivity, confidence and courage. •Master The 5 Second Rule. •Leverage the science of habits to create immediate behavior change. •Practice higher brain function that enables breakthrough performance. •Understand how five second decisions change your life and business. •Be inspired and uplifted to reach your potential. Leadership requires mastery of two key skills: making great decisions and being effective with people. Mel Robbins will prove that you were born with the ability to excel at both and show how even those who don’t see themselves as a “natural leader” can become one, and those that already lead can increase their effectiveness. Your audience will walk away from Mel’s presentation with a better understanding of how human beings are wired and a road map to follow that will unleash one’s natural leadership capability. You’ll be fascinated by the three natural fears that drive all human behavior and amazed as Mel turns these fears into tools that help you drive decisions down the ladder and increase loyalty, satisfaction and results. Citing and demystifying the most recent research in Management Theory and Psychology, Mel will educate your audience on the reality of what truly motivates people and the reason why 79% of employees leave their employer. The one question that audiences around the world always ask is this: What's the secret to getting yourself (or your stuff) on TV? In this deeply personal, and extremely insightful speech, your audience will learn the details of Mel's crazy path from Lawyer to Dot-com Entrepreneur, Executive Coach to Television and Radio Host. 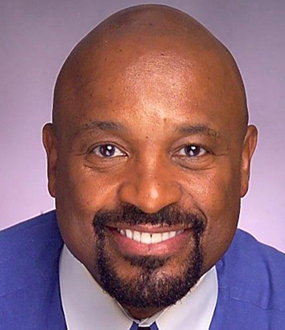 Mel's hosted two reality shows, been a Contributor for CNBC and CNN, and has made hundreds of appearances as an expert on shows ranging from Good Morning America to Dr. Phil, Fox News to The Talk, The Bill Cunningham Show to Oprah. She has also trained executives around the world on how to communicate effectively, be a powerful public speaker and nail media appearances. You'll learn how the media business works, how shows are created and produced, the reality of hosting a reality show and what a day in the life of a television producer looks like. The 5 Things You Must Do Now to Sell Effectively in the "Google World"
The Internet has changed everything about the world we live in; particularly (for us sales people) the entire sales-cycle and how customer buying behaviors have become unhinged. For example, car buyers now take an average of 92 days, visit 14 websites and research 3 different dealerships before purchasing a car. And health plan shoppers’ research for an average of 61 days and find video testimonials the most persuasive. The fact is your customers behave very differently today, and depending on how you engage them during and after their inevitable research process, you'll either close the deal or lose them to your competitor. 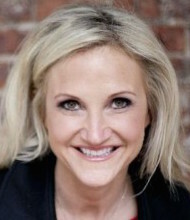 As the founder of Inspire52.com, the largest positive news network online, Mel Robbins is an expert at online marketing/advertising, Internet monetization models, Google Analytics and content aggregation. Armed with the latest data, trends and Google studies, Mel will customize her talk to your industry and will educate your sales team about what's happening online so you can use it to your strategic advantage. In a clear, concise, and entertaining way, Mel takes her audience behind the “Search Results” to explain how consumer behavior is changing, what customers expect from sales people, and most importantly, what to do to win them over. Mel also creates customized speeches and multi-event leadership series for clients. It takes just five seconds to use this tool, and every time you do you’ll be in great company. More than 10 million people have watched Mel’s TEDx Talk, and executives inside of the world’s largest brands are using the tool to increase productivity, collaboration, and engagement. Mel Robbins has spent her career teaching people how to push past their self-imposed limits to get what they truly desire. She has an in-depth understanding of the psychological and social factors that repeatedly hold you back, and more important, a unique set of tools for getting you where you want to be. 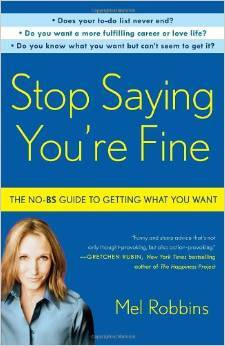 In Stop Saying You’re Fine, she draws on the latest neuroscientific research, interviews with countless everyday people, and ideas she’s tested in her own life to show what works and what doesn’t. The key, she explains, is understanding how your own brain works against you. Because evolution has biased your mental gears against taking action, what you need are techniques to outsmart yourself. That may sound impossible, but Mel has created a remarkably effective method to help you do just that — and some of her discoveries will astonish you. By ignoring how you feel and seizing small moments of rich possibility –a process she calls “leaning in” – you can make tiny course directions add up to huge change. Among this book’s other topics: how everything can depend on not hitting the “snooze” button; the science of connecting with other people, what children can teach us about getting things done; and why five seconds is the maximum time you should wait before acting on a great idea. Blending warmth, humor and unflinching honesty with up-to-the-minute science and hard-earned wisdom, Stop Saying You’re Fine moves beyond the platitudes and easy fixes offered in many self-help books. Mel’s insights will actually help vault you to a better life, ensuring that the next time someone asks how you’re doing, you can truthfully answer, “Absolutely great.